The AMS700 is very compact which makes it a great choice for small or tight spaces. It also softens up to 70 grains hardness per gallon, which is a good choice for the average family. It reduces up to 10 ppm of ferrous iron and regenerates in only 20 minutes. If you’re looking for a water softener for a larger family, the AMS900 can meet your needs. It’s very efficient and has a super capacity for hard water. It softens up to 90 grains hardness per gallon and regenerates in only 25 minutes when needed. The AMS900 also reduces up to 10 ppm of ferrous iron. 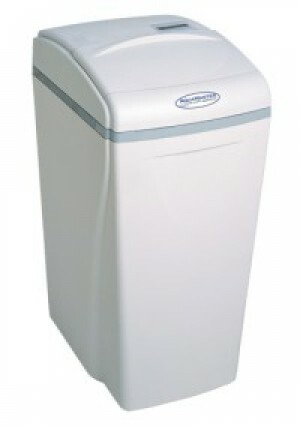 AquaMaster also has an all-in-one water softener, the AMS950. This water softener is a whole-home filtration system that handles it all. It reduces the taste and odour of chlorine in water, and softens up to 35 grains hardness per gallon. Regenerated in just 20 minutes when needed, the AMS950 is a complete water softener system. If you would like to learn more information about the AMS700, AMS900 or the AMS950 check out our Water Softeners page on our website. All three water softener models are built for convenience, efficiency and quality filtration. We believe they are three of the top water softeners in Canada.